Skywatchers in the British Isles and Western Europe should look low to the south-southeast an hour before sunrise on the last morning of January to see a beautiful conjunction of Venus, the old crescent Moon and Jupiter, all within a span of 8½ degrees in the constellation of Ophiuchus. If you own a telescope, can you also see fourth-magnitude star Xi Ophiuchi emerge from lunar occultation? Details below. Note that the Moon’s size is enlarged for clarity in this illustration. AN graphic by Ade Ashford. One could easily be forgiven for thinking that all the skywatching activity this month has been confined to the morning sky, but it’s far from over yet. 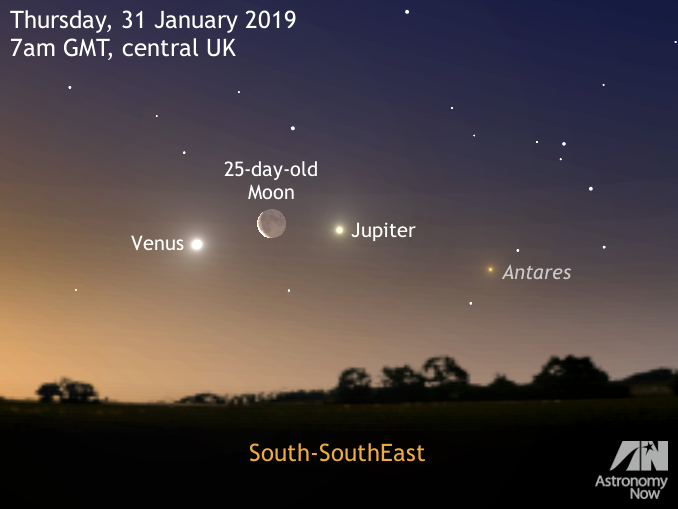 January concludes with a glorious dawn triple conjunction of the brightest planet Venus, the 25-day-old waning crescent Moon and largest planet Jupiter. If skies are particularly clear then you might also see first-magnitude star Antares in Scorpius a span of a fist at arm’s length to Jupiter’s lower right. 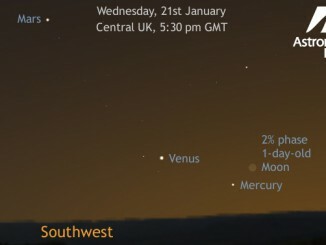 Observers in the UK looking to the south-southeast around 7am GMT on 31 January will see (weather permitting) the old crescent Moon nestled between Venus and Jupiter, but this is merely a line of sight effect: the Moon is the closest of the three at just 396,770 kilometres distant. Next, it’s dazzling Venus – 129.2 million kilometres from Earth. 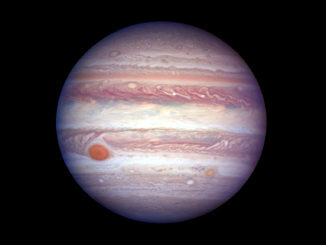 But Jupiter is a staggering 878 million kilometres away on this morning. Put another way, Venus is 326 times farther than the Moon, while Jupiter is 6.8 times farther than Venus on this final dawn of January. As you contemplate the vastness of the solar system while savouring the view with the naked eye, there’s another treat in store for those with larger binoculars and small telescopes who are prepared to view a little earlier. For most of the British Isles, if you look carefully at the southern (bottom) edge of the Moon close to 6:45am GMT you’ll see a fourth-magnitude star nearby. This is a double known as Xi (ξ) Ophiuchi. It consists of a magnitude +4.4 yellow-white giant primary separated by 3.5 arcseconds from a magnitude +8.9 companion, the pair situated some 57 light-years from Earth. Ireland, Wales and most of England will not see a lunar occultation of fourth-magnitude double star Xi (ξ) Ophiuchi close to 6:45am GMT on 31 January 2019, but parts of Scotland and the borders will (weather permitting). The so-called occultation graze line is shown on this map; only those living in the grey shaded area will see Xi (ξ) Ophiuchi covered by the Moon. AN illustration by Ade Ashford based on data generated by Guide 9.1. If you live in or travel to just the right location, you can see Xi Ophiuchi appear to brush by the mountains and valleys on the Moon’s southern limb. These so-called grazing lunar occultations are not only beautiful to watch through a telescope, but they are also of immense scientific value. If you time the event accurately and you know your precise terrestrial location, it provides valuable data for those scientists studying the Moon’s orbit and motion. 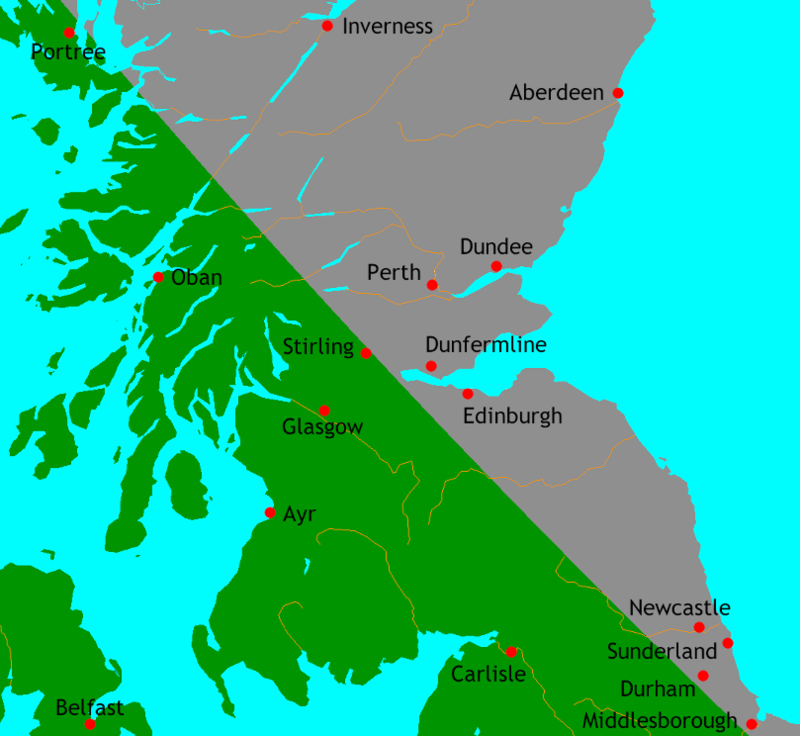 The graze line for the lunar occultation of Xi Ophiuchi on 31 January lies roughly from the Isle of Skye, between Glasgow and Edinburgh through to Scarborough. Anyone in Scotland and northern England located to the north and east of this line will see the occultation, everyone else will not (see the accompanying map extract). The viewing circumstances for grazing lunar occultations are very localised. For example, observers in Glasgow will see the Moon pass north of Xi Ophiuchi at 6:47:46am, while those in Stirling will see a very near miss at 6:48:14am. However, anyone watching from Edinburgh will see the star disappear at 6:44:56am and reappear at 6:52:44am (all times GMT). Even if you don’t see Xi Ophiuchi disappear behind the lunar crescent from where you live, do take a look at the juxtaposition of Moon and star close to 6:45am GMT on 31 January. If nothing else you will gain a greater appreciation for just how fast our natural satellite moves in its orbit relative to background stars – roughly one lunar width per hour. 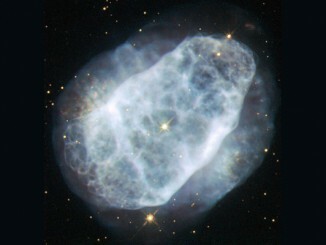 NGC 6153 in the constellation Scorpius contains up to three times the amount of neon, argon, oxygen, carbon and chlorine to be found in our Solar System, but what really sets this planetary nebula apart is the quantity of nitrogen in its clouds.